A towel that can double as a costume! Kilt Beach Towel is funny, colorful, functional gag gift for your friends and family. 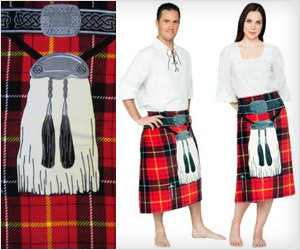 Besides you can buy it for yourself and flaunt around to take kilt obsession to a new level.